Online system to help citizens keep track of valuables. 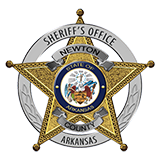 Jasper, AR 10-22-13 – Newton County Sheriff’s Office encourages all residents to use a free online system that will help keep track of valuable and invaluable personal property. ReportIt is a free, secure online service allowing citizens to record serial numbers and upload images for phones, electronics, and other valuables. Should those items ever be stolen, NCSO says having the information will go a long way in accurately and quickly identifying your property. Citizens can access the site at reportit.leadsonline.com. The ReportIt service is a part of LeadsOnline, the online system that works with police across the country to track and recover stolen property. The Newton County Sheriff’s Office uses LeadsOnline to help track and recover stolen property ---- everything from jewelry to sporting equipment to electronics, computers, cameras, and other items such as designer clothing, collectibles, and other items with invaluable personal worth. The system allows detectives to search for the items using a variety of parameters, including item descriptions and serial numbers. When an item is sold to a pawn or secondhand shop, the product information is entered in the LeadsOnline database and is immediately viewable by participating law enforcement agencies across the country. Newton County Sheriff’s Office has used LeadsOnline since 2010 and has reported many successes using the online investigations system. Using LeadsOnline, police have recovered thousands of dollars in stolen property for Newton County and surrounding residents. Recently, the LeadsOnline system helped detectives recover stolen tools and other items.